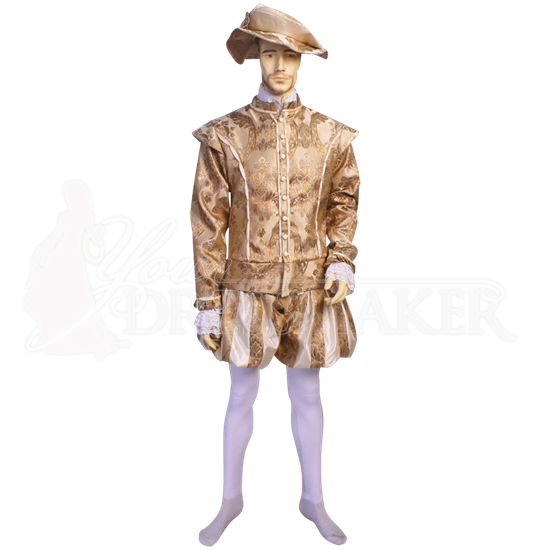 For a princely Renaissance look, wear the Mens Royal Tudor Doublet. 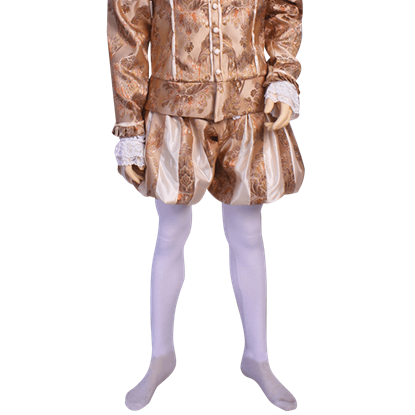 Skillfully handmade with attention to detail, this Renaissance reenactment doublet is crafted from beautiful floral patterned brocade with matching taffeta trim. Inspired by authentic historic fashion, this regal doublet features stylish cap sleeves at its shoulders as well as long sleeves ending at the wrist. Buttons down the chest create the front closure of this historic noblemans jacket. 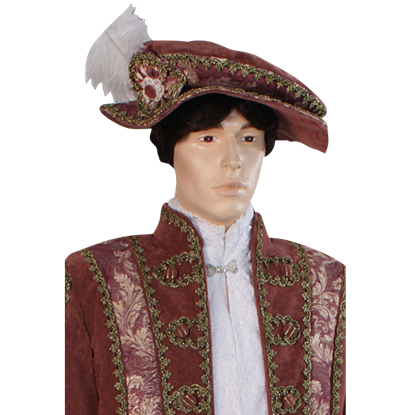 With its elegant appearance, the Mens Royal Tudor Doublet is ideal for special occasions as well as historic reenactment events and Renaissance festivals. The hat, undershirt, and pants shown here are not included. For a regal matching look, coordinate the Mens Royal Tudor Doublet with pieces like the Mens Royal Tudor Breeches (MCI-388) and the Mens Royal Tudor Hat (MCI-395). Made from panels of antique velvet and elegant, floral patterned brocade, the Mens Ornate Renaissance Hat is the hat for a refined Renaissance nobleman. This historic-inspired hat displays a wide brim with a slightly puffed crown. Inspired by regal historic style, the Mens Royal Tudor Breeches are ideal for achieving a kingly Renaissance look. Expertly handmade, these historic breeches feature skillfully pleated stripes of ornately patterned brocade fabric.